What goes up must come down, and when we last saw Alex Rider, he was as up as can be-in outer space. When he crash lands off the coast of Australia, the Australian Secret Service recruits him to infiltrate one of the ruthless gangs operating across South East Asia. Known as 'snakeheads', the gangs smuggle drugs, weapons, and worst of all, people. Alex accepts the assignment, in part for the chance to work with his godfather and learn more about his parents. What he uncovers, however, is a secret that will make this his darkest and most dangerous mission yet...and that his old nemesis, Scorpia, is anything but out of his life. 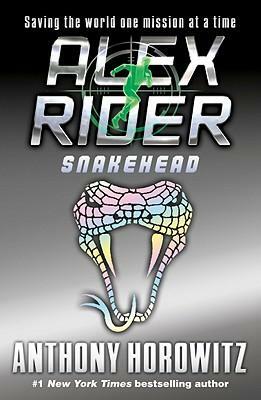 From the slums of Bangkok to the Australian Outback to the middle of the Timor Sea, Snakehead is Alex Rider's most action-packed adventure yet.